Thank you so much for the award and also for sending the recipe for the event. I was thinking about you yesterday. When I was coming back home I saw a big poster having the same Ganesh-Murali sketch as you had for your GaneshChaturthi event. Never tried egg with drum sticks. This sounds good. I will try sometime . different combo..I usually dont use eggs in my curry,,so I dont know much about this..but sure looks good!! hi dear, what an innovative combo and of course a nutrition blast! Though I am veggie I am drooling over ur curry. Egg and drumsticks is surely new to me... very different one. thanks. Congratulations on the awards! Also, thanks for visiting my blog :) The curry looks and sounds very yummy! Egg Drumstick curry looks really unique dish dear....looks really tempting..
Congrats on wellreceiving this award Good Job gal!! eggs and drumstick..imagining the flavor! I had tried eggs in tomato sauce when I was in hostel..so its been ages since I ate anything made of eggs. A strict no in the kitchen now ..
Congrats on your awards!Keep in touch! Very nice recipe Priti, look goooood!!! jus popped in to say a hi! I heard this combo before but never tried. This version looks gr8. Will try out soon. As I mention Sujatha dear..I didn't click the pic of thokku..will do it next time. 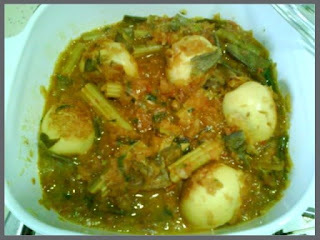 Thanks KF, hope things fine with U.
Hmmm.... eggs with drumstick curry ... must be divine ;) can feel the taste and flavour! Egg & drumstick... never had that combination before but I love them both so this is sure to be yummy. Now this is the curry I want to eat! I love drumsticks. wo this curry looks awesome..